Listen to Music on the Terrace at the Paddock Shops June 8 | Joe Hayden Real Estate Team - Your Real Estate Experts! Summer is arriving in Louisville again, and you know what that means: Music on the Terrace. Go to the Paddock Shops in Springhurst, and enjoy the live music, the family-friendly activities and of course, all the shopping. 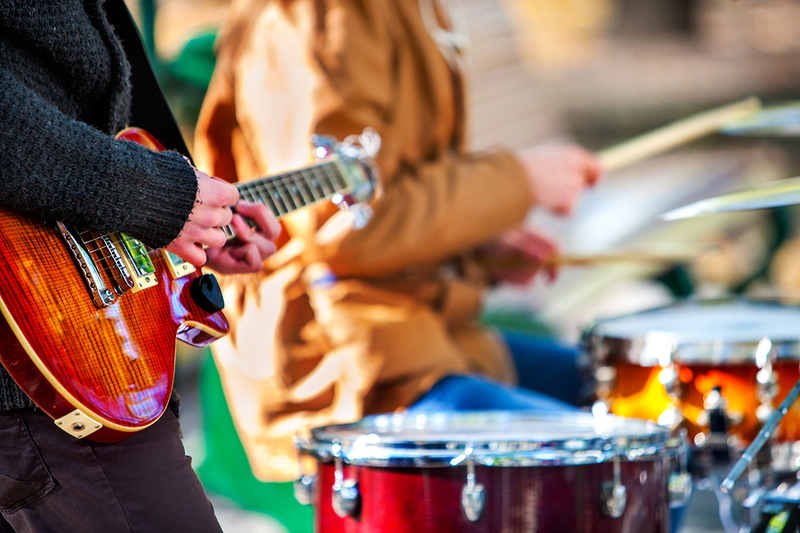 The summer concert series at the Paddock Shops is a popular, fun, family-friendly event. You’ll find the live music on the terrace near the food court, between the Qdoba Mexican Grill and Mitchell’s Fish Market. The Wulfe Brothers will be performing classic rock tunes from 6:30 to 8 pm under the summer sun. There’s free face painting for kids of all ages during the Music on the Terrace event. The first 25 customers to present a $25 receipt from any of the Paddock Shops will get a $25 gift card in return -- which is pretty much like shopping for free. The Paddock Shops at are 4055 Summit Plaza Drive at the center of the Springhurst subdivision. It’s free to come here and shop any time, and free to enjoy the live music during the summer concert series. But after you come to Springhurst just once, you’re going to keep finding reasons to get back to this part of town. The Paddock Shops are at the center of Springhurst, a center for shopping, eating and family outings. You'll find that the Shops are a great place to spend time with friends, with family or when you need a day to escape all by yourself. Stay active at the Springhurst Tennis Club, or pop across the street to visit the swim club. The movie theater is right down the road. You'll find plenty of distractions in Springhurst and lots of places to while away an afternoon, but you'll also find a real treasure trove here. All around the big shopping areas, Springhurst becomes a lovely residential neighborhood full of brick and stone homes in big, family-friendly designs. Wind your way around the cul-de-sacs of Springhurst, and you'll be dazzled by the traditional homes. Many of these homes are newer, built only in the last 15 years. They have multiple bedrooms and bathrooms, big yards for the kids to play in and all those features you really need. Springhurst is a neighborhood of two-car garages, open floor plants and pretty features. The neighborhood areas are also made with plenty of community gathering places for everyone to enjoy. Springhurst is full of walking paths, tennis courts and a large lake that residents particularly enjoy in the summertime. Find out how much you enjoy being in Springhurst this summer, and you’ll see that it won’t take you long to find your way back.